By and large, Rolex watches have established themselves as icons in the fine timepiece space by sticking to signature design hallmarks while continuously improving. The improvements have occurred gradually over the years and the brand’s evolutionary rather than revolutionary approach has certainly paid off. This method probably explains why when a Rolex oddball shows up on the auction block, it will likely turn heads and open wallets. Case in point are these three unusual vintage Rolex watches that sold for big money at auction. During Phillips’ Geneva Watch Auction: Eight event, a fascinating vintage Rolex GMT-Master came up for sale. It was a GMT-Master ref. 6542 with plenty of far-from-standard details. The 6542 was the very first reference in the Rolex GMT-Master family—a watch purposely built in the mid-1950s for Pan Am pilots to keep track of two time zones. The earliest GMT-Master ref. 6542 watches were made from stainless steel and came equipped with blue and red Bakelite bezels (Rolex replaced the fragile Bakelite bezels with more durable aluminum ones in 1959). So this particular Rolex GMT-Master ref. 6542 already stands out for its 18k yellow gold construction and aluminum brown bezel. But what is really unusual is the placement of the winding crown on the left-hand side of the case. Phillips maintains that this was the first time a yellow gold left-handed GMT-Master ref. 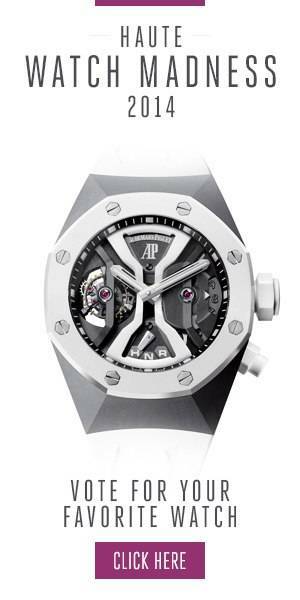 6542 has appeared in a public sale and the watch ultimately sold for CHF 200,000 ($198,820). There are generally two types of Rolex watches: the sports watches (a.k.a. the “Professional Watches”) and the classic watches. Among other things, one aspect that sets the classic Rolex watches apart from the sportier watches is the dial design. Most of the sportier models have what we call “Mercedes-style” hands and large lume-filled hour markers, while the classic watches typically have straight hands and a variety of index types. However, during Christie’s Rare Watches auction in November 2017, a curious vintage Rolex Day-Date ref. 1803 came up for sale. The white gold Rolex President watch came equipped with a special order “sports dials,” complete with luminous Mercedes-style hands and luminous round and baton hour markers. Rolex made this watch in 1969 at the request of a private customer; and then made an identical one for a royal client of Klarlund–Scandinavia’s largest Rolex authorized retailer. So, only two of these examples exist. Christie’s sold this ultra-rare vintage Rolex Day-Date for CHF 275,000 ($276,104). Perhaps the strangest vintage Rolex watch to come up for sale in the last few decades, Christie’s sold a white gold Rolex Submariner 1680 prototype during their Rolex Afternoon event in May 2017. It is estimated that only three examples of this prototype were ever made in the early 1970s and those familiar with Submariner designs will notice immediately that it does not resemble any other Rolex Submariner. First of all, it has a white gold case (Rolex only offered the Submariner 1680 in steel or yellow gold) and an odd engine-turned bezel with knurling on only two opposite sides rather than all around the perimeter. Furthermore, it comes fitted with a President bracelet à la Day-Date with bark finishes on the center links. Unbelievably, this strange looking Rolex set the record as the most expensive Submariner ever sold at auction when the new owner paid CHF 631,500 ($634,036) for it.